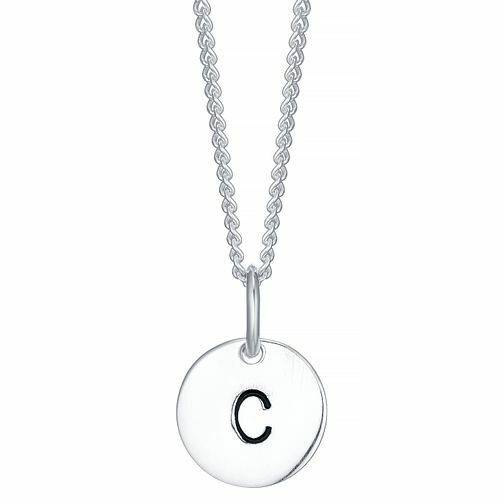 Go for individual, personalised style, with this chic small initial C disc pendant. Crafted in smooth sterling silver for a fresh, modern feel, and set on a fine chain. Sterling Silver Small Initial C Disc Pendant is rated 4.5 out of 5 by 2. Rated 5 out of 5 by Anonymous from This product looks so cute. Petite and dainty, very good quality, looks lovely on. Rated 4 out of 5 by Anonymous from Happy the recipient thought this was a perfect gift for the occasion.